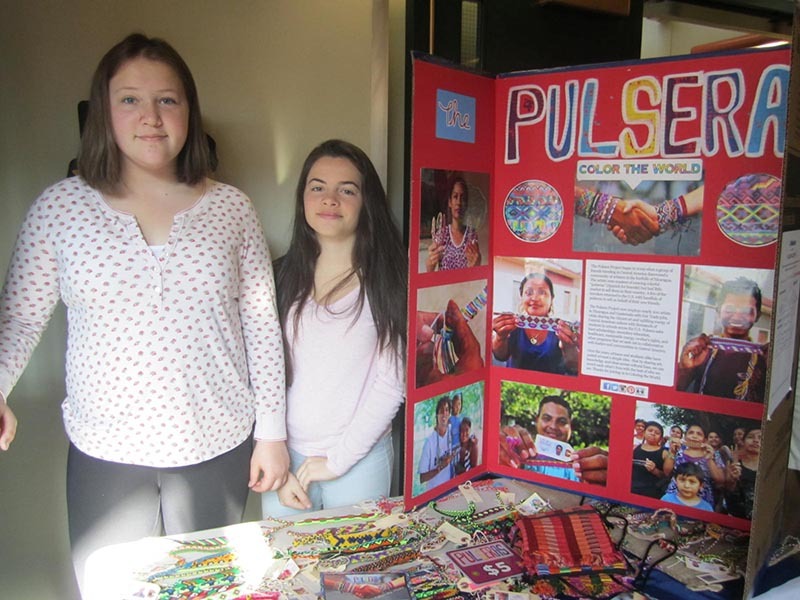 Seventh and eighth graders at the West Tisbury School recently ended their fundraising effort for the Pulsera Project, and sent a check for $580 to help with various charities in Nicaragua. The Pulsera Project is a nonprofit organization that educates, empowers, and connects Central American artists with students in more than 1,600 U.S. schools through the sale of colorful handwoven bracelets, or “pulseras” in Spanish. The West Tisbury School students sold pulseras in their front lobby during homeroom for $5 each. There were also woven handbags for $10. One hundred percent of the profit went to the artisans and communities in Nicaragua and Guatemala. According to the Pulsera Project website, “We brighten U.S. schools with art and compelling cultural education while employing nearly 200 artists and investing proceeds to create lasting change in Central American communities.